First time in New Orleans? 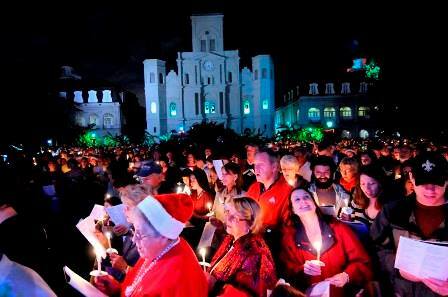 Hosting friends/family who have never been to New Orleans before? We’ve got you covered. The city is jam-packed with things to do, but there are a few classics you need to hit. These are the places everyone is going to ask you about when you get home. 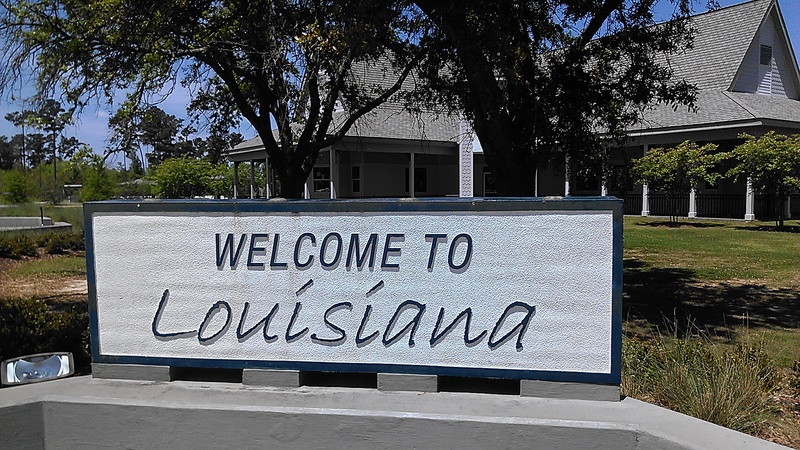 This list should keep you busy for a two or three-day weekend trip. And, please bring your appetite. Wear comfortable shoes. You are going to do a lot of walking and our sidewalks are uneven. Skip the fashion show and wear something you can walk several miles in. No one cares if you are wearing sneakers, slip-ons or flip-flops. Most places don’t have a dress code and won’t care what your footwear looks like. In the summer, grab a hat if you are going to be outside. We have plenty of hat stores here if you want to buy one. Here’s more advice about picking a hat and where to get one in New Orleans. Exhibit Be calls itself one of the largest street art installations in the American South. It’s part of the citywide Prospect 3 art event, and it closes today (Jan. 19) for good. Best part – Exhibit Be is totally free. It’s open from 11 a.m to 4 p.m. today. For Exhibit Be, several talented street artists covered an empty apartment complex in Algiers with art. The art is meant to spark a discussion about urban blight and affordable housing, among other things. 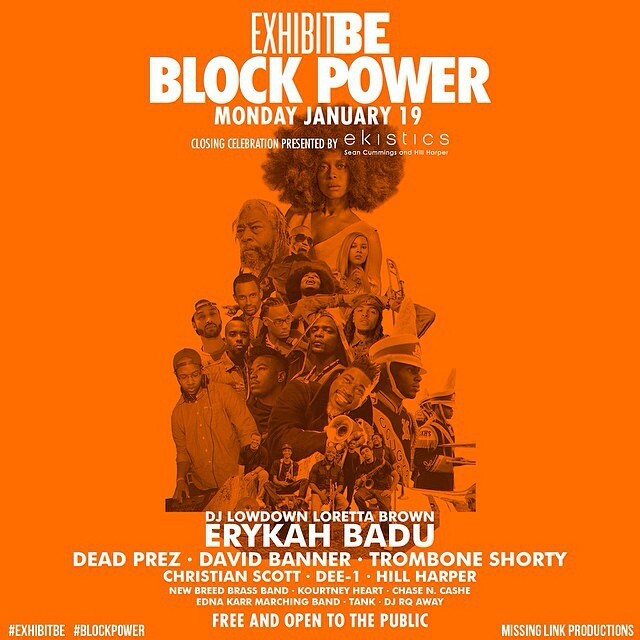 Read more about Exhibit Be. Champions Square is an event space connected to the Superdome. It’s free to get in, there’s entertainment before the game and the game is shown on a big screen in the square. 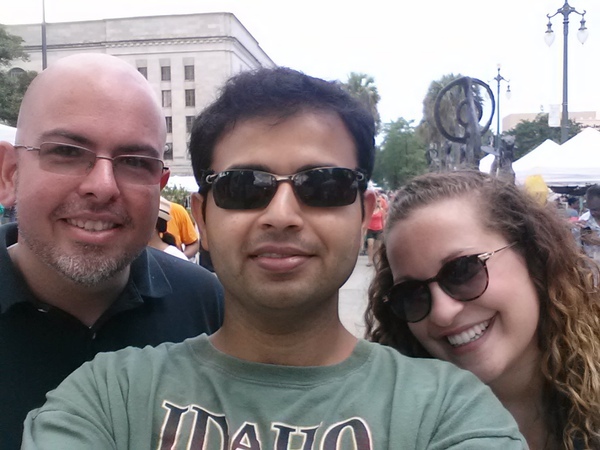 Our friend, Satyajit Dixit, has started a Meetup group that’s perfect for meeting other newbies. Meetup is an online community that helps people “meetup” in real life. Some groups are general interest, while others are grouped around specific interests. Meet Sat (he’s the guy in the middle). He organizes the “Exploring New Orleans” Meetup group. 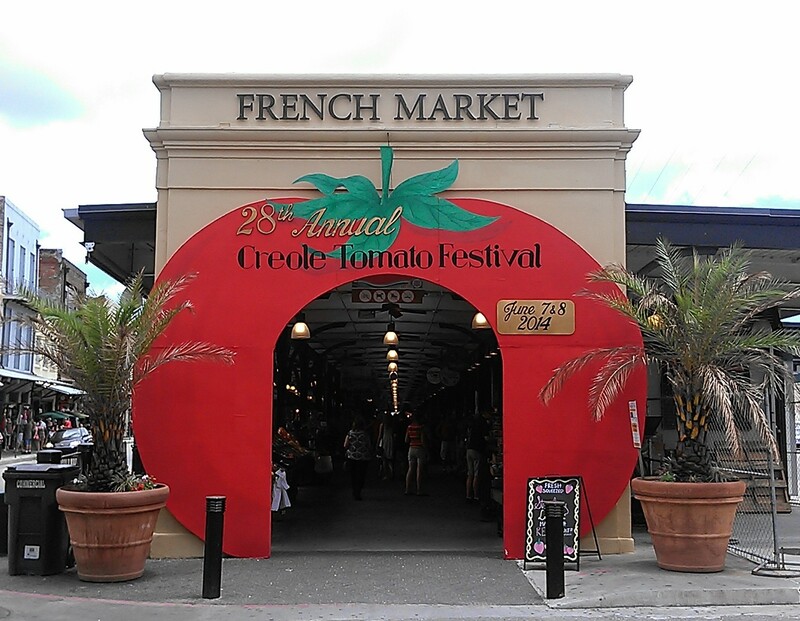 The Creole Tomato Festival kicks off today (June 7) at the French Market and goes through Sunday night. This is the perfect time to get free samples of the famous creole tomato. The festival has food vendors, cooking demonstrations and a tomato eating contest. We’re heading out Sunday so we can see the contest at 1. Interesting demo Saturday – creole tomato cupcakes at 4 p.m. The French Market said each cooking demo has 2-oz samples for the first 100 people. The tomato sample station is at Dumaine Street. The fest also has cute tomato-shaped paper fans it’s giving away at the festival. The people in tomato costumes (photo opp!) have the fans and will give you one if you ask. 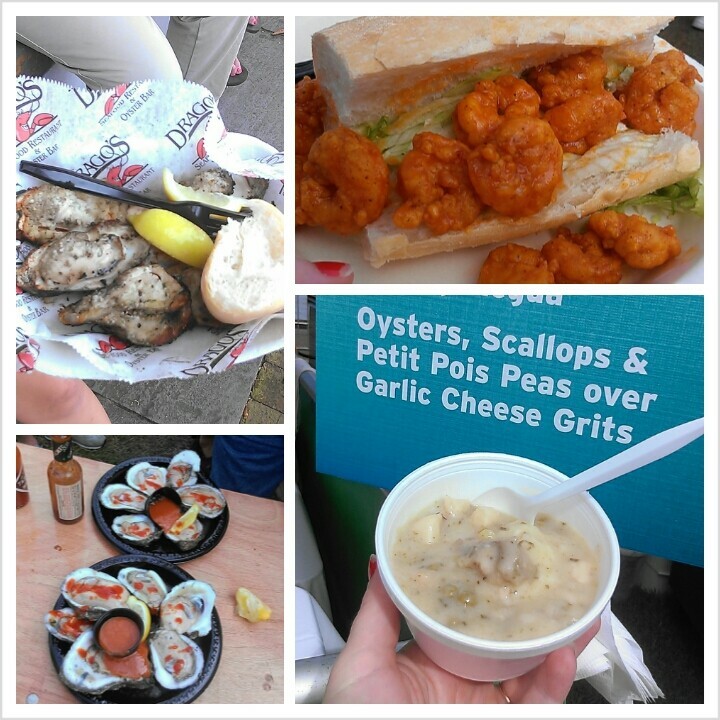 The 2014 New Orleans Oyster Festival is this weekend (May 31 and June 1). The food is the same both days, but the music is different. Want to see the oyster shucking contest? That’s Saturday at noon. Interested in the oyster eating contest? That’s Sunday at 11:45 a.m. The fest is at Woldenberg Park, which is next to the Audubon Aquarium of the Americas (map). We like this festival because it is free admission and there’s parking around the French Quarter. When we take a car, we usually park in the garage above Saks Fifth Avenue. Tip – if you get in before 9 a.m. at most garages, parking is $10 for the entire day. You can also take a bus or streetcar and not fool with parking at all. It takes a little longer than driving, but it’s cheaper than parking and you don’t have to worry about a designated driver. We went to the fest last year and had a really good time. See our pix.